This is the sport where everyone truly comes together. I’m talking about my favorite sport in the world, running. Over the past few months, my wife, son, and I have participated in four separate 5K races. Over the last few years, 5K races have become a family tradition. This incredible sport has the power to transform our world. Ever since high school, my favorite sport has been cross-country running. 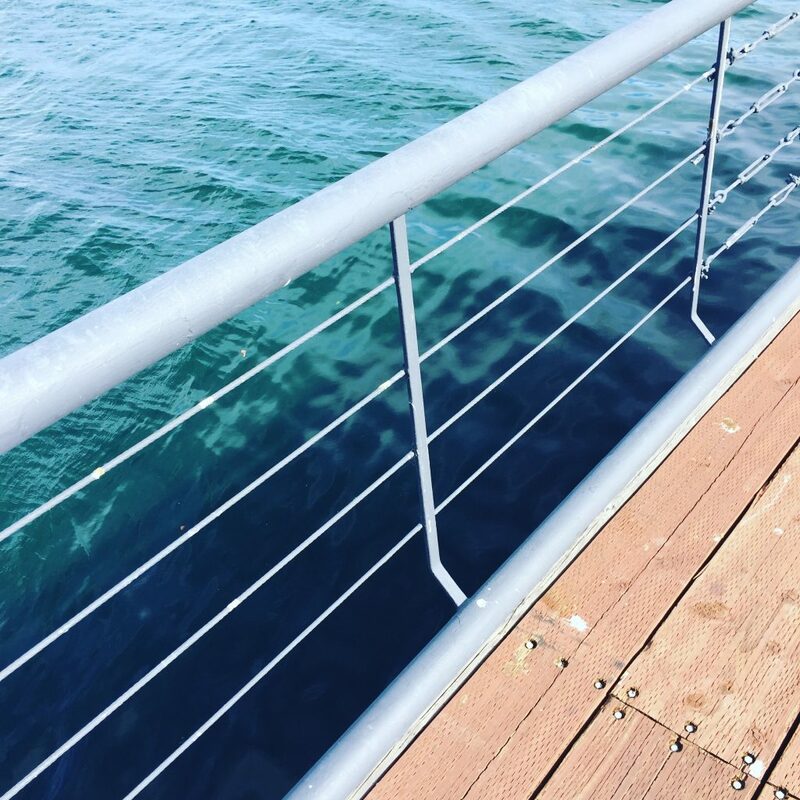 I am significantly better at swimming, and enjoy that sport as well, however there’s something about running that intrigues me. In addition to the fact that it brings everyone together, I love the distance covered, the scenic views, the diversity of terrain, and the thrill of pushing further and faster with each run. You may be thinking, "This blog is all about business, digital marketing, and sometimes investing, Ian. Why are you writing about running?" I personally believe that there is a huge tie between the mental side of things and the physical. I’m thrilled to share life lessons I have personally learned from running. When I train, I’m typically running about 5 or 6 miles at a time. I exclusively train with hills because I like a good challenge. I have always found that around mile two (right before the half way point), everything gets easier. I’m actually approaching some of the most difficult terrain of the journey (steepest hills), yet things just start flowing. I attribute this to the phenomenon known as "runners high". There’s a point where you cross your largest challenge, and things just start getting easier. I believe the same is true in life, business, and investing. Far too many people give up when they reach challenging times. The challenges seem to pile up, just as the summit of my run. It’s difficult to see past the challenges since the hills are so steep. However, it’s often at this very moment that you’ll get a surprise. In the case of running, it’s the endorphins kicking in (or runners high). In the case of life, I believe it’s a little help from up above. The moral of the story: Don’t give up. When things keep getting more difficult, know that you are incredibly close to your big breakthrough. Persistence is the name of the game. Over the years, I have participated in a multitude of 5K runs. Some are more fun than others. 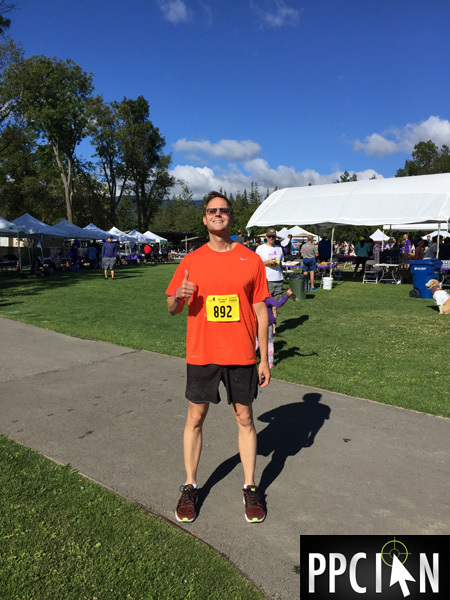 My personal favorite is the annual Lupus 5K in beautiful Saratoga, CA. I actually just completed this 5K, along with my wife and son. There is a great cause behind this event: Raising money and awareness to find a cure for Lupus. The event is team oriented and often teams are rallying around someone they personally know with Lupus. I have found that this event is really special, and am proud to call it my favorite 5K run. It’s hard to explain, but when you are in this race, you feel a common bond with everyone there. Everyone is so kind, so well-spirited, and in it for the greater good. Nobody is trying to "win". Nobody is trying to beat their neighbor and cut around others. While I was participating in this race, I had one thing on my mind and that was giving it my all to truly support Lupus. I even found myself praying for those with Lupus. I imagine that others felt a similar experience and that is why the sportsmanship at this race is so amazing. In business, it often becomes extremely competitive. We’re competitive with one another. (Who will get promoted first?) We’re competitive with our competitors. (Can we beat the competition?) We can lose sight of the big picture. Running provides the perfect framework for business. Look at everything from a team perspective. A real world example: In the self storage industry, we are sometimes out of a certain unit size (they are all taken). We make a point of referring potential customers on these units to our "competitors" down the street. At the end of the day, we don’t even look at other facilities as competitors, we look at them as friends and neighbors. It’s all about good sportsmanship. I participated in four 5K races recently. Of all the races, the San Carlos Fun Run felt the most competitive. It’s in a town that has incredible athletes and the runners take this event with complete seriousness. I ran my heart out in all races. I would say that I had the most people pushing me to do my best in San Carlos since it was a close race and people were actively passing each other to get an edge at the finish line. The interesting fact: I ran the fastest (by far) in the Redwood City 4th of July Parade Run, even though I literally had nobody pushing me other than myself. At the end of the day, it’s your race and nobody else’s. Running is a sport where you are pushing yourself to do your personal best. The only thing that pushed me in the 4th of July Parade Run were the thoughts and prayers running through my mind. In business, it’s so easy to compare yourself to others. Am I making enough money? Why does somebody else have more responsibility than me? Is my title good enough? The list goes on… Rather than compare oneself to others, why not focus on your personal race. After twelve years in pure play digital marketing roles, I said, "To heck with it. 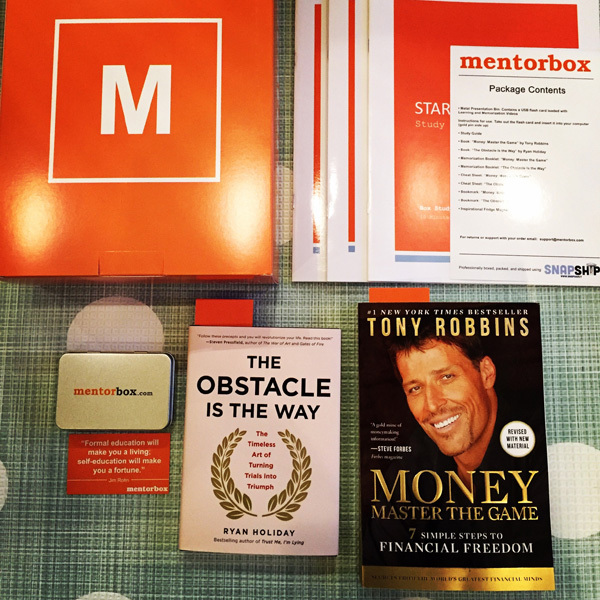 Why not take a completely different route and pursue my dreams of investing full time." It was an unconventional move, but has paid great dividends in a variety of ways. Remember that this life is your race alone. Benchmarking against others can be helpful at times, but the most important benchmark is yourself. Any of us with a digital marketing background know that ads are everywhere in this digital age. It’s difficult to get a moment to oneself. The noise is always there. Aside from ads, we all have persistently growing checklists, phone calls, work. It can become really "loud" in one’s life. I have found running to be the perfect avenue for meditation. I like to run long distances. I like to push myself and feel the pain. It is in this precise moment that the noise goes away. I can meditate and pray. I can reflect. Whether it’s running or something completely different, I challenge you to find your avenue for unplugging. Find that time. This is when you will have your best ideas and gain inspiration to fuel your best work. We live in a unique age where we are "always on". Personal time and business time no longer exist. It’s business and personal 24/7. The two blend together. I joke with my wife that I am all about the "athleasure" lifestyle, and it’s true. These days, I mainly wear sneakers and Lululemon clothes. In fact, I feel like I have a shopping addition for both. Throughout the day, I’ll take random breaks to get in a few pushups, jump lunges, or even a quick sprint. For me, the active lifestyle fuels energy, thought, success, and overall happiness. While I still plan longer workouts like my runs and swims, I also like to incorporate impromptu, high intensity training. My advice: Consider bringing this active lifestyle into your life and office. There’s nothing wrong with someone doing some pushups or crunches in the middle of the corporate office. In fact, I hope this becomes the routine. I have seen this theme emerge a variety of places recently. As an avid student of life and someone growing in my spirituality, I have learned that we are all part of the human family. We are each a cell in a greater being, a collective being. There is no event where this becomes more apparent (to me, at least) than a 5K race. Each time I complete one of these 5K races, I try to take the good vibes with me wherever I go. It’s all about what one can do for the greater human family. Thanks for reading. Do you enjoy running? Any lessons you have learned from sports? Are you allocating a similar marketing budget on Facebook Ads as Google AdWords? Here’s how I look at it, at a high level… As of today, Alphabet (the parent company behind Google) has a market capitalization is $678.9 billion. Facebook’s market cap is $440.9 billion. $440.9 billion / $678.9 billion implies that Facebook is about 64.5% the size of Alphabet. Given Facebook’s size and scale, it’s perfectly reasonable to allocate 64.5% as much money on Facebook Ads. 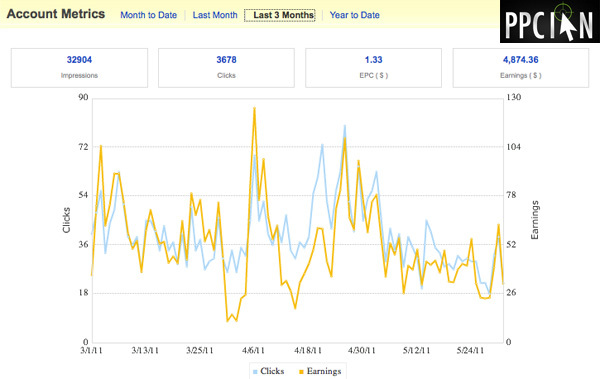 So, if you’re spending $100,000/month on AdWords, you may want to consider spending $64,500 on Facebook Ads. This allocation is far from reality for many digital marketers. Why? 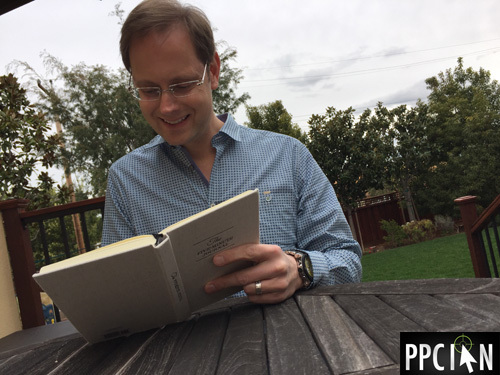 A lot of the digital marketing leaders (myself included) grew up on Google AdWords. AdWords is ingrained in our minds. We know it, it works really well, and that’s where we have historically prioritized our budgets. And, AdWords is bottom-of-funnel so it’s easier to measure success from an attribution standpoint. That being said, things have evolved. These days, I’m the greatest fan of Facebook around, and am constantly discovering new ways to drive success on this incredible platform. On the fun side of things, I have over 100,000 fans on my PPC Ian Facebook Fan Page. On the business / professional side of things, I manage dozens of Facebook pages and advertising campaigns for our local stores, delivering hyper-local content on a daily basis. I have learned that top-of-funnel social media marketing (with appropriate tracking) drives impressive results when executed properly. And, it keeps getting better. Instagram, for example, is a complete game-changer for Facebook advertisers. 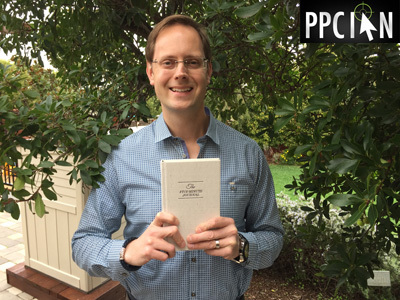 Today, I’m excited to share an eBook I recently read that provides incredible insights for anyone advertising on Facebook. 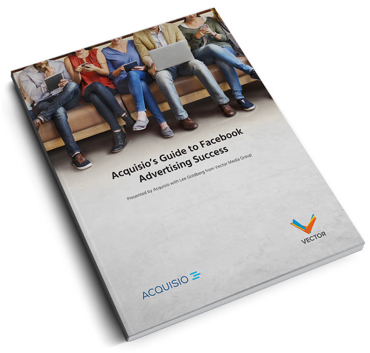 I’m talking about Acquisio’s Guide to Facebook Advertising Success, a collaboration with Vector Media Group. Following are some of my favorite takeaways, broken down by section. Rather than elaborating upon each specific insight, I’m listing them here so you can quickly look for them once downloading the eBook. Facebook offers over 970 targeting variables. Via data partnerships, Facebook offers some truly unique targeting options. When targeting on Facebook, don’t go too broad. Stay focused. A few hundred people is a great target audience, but don’t go lower. While nearly impossible manually, scale with personalization is possible with Acquisio Social. Literally let users see themselves in your photos. 90% of accounts don’t leverage CTA (call-to-action). Don’t be one of them! CTR (click-through-rate) is critical for your relevancy score (Facebook’s equivalent to Google’s quality score). Always focus on CTR. Get rid of ads that are not working so they don’t drag down your entire account. Learn how Acquisio Social can empower your advertising campaign with multivariate testing. Learn about Facebook and Google Analytics integration. Leverage Facebook data to empower your Google AdWords advertising and vice versa. Learn how Facebook can help power Google RSLA (Remarketing Lists for Search Ads). Uncover how Facebook Custom Audiences can scale with help from your Google data (one of my personal favorite Facebook targeting frameworks). Learn about the different placements and which one converts the best. I really enjoyed this free eBook. 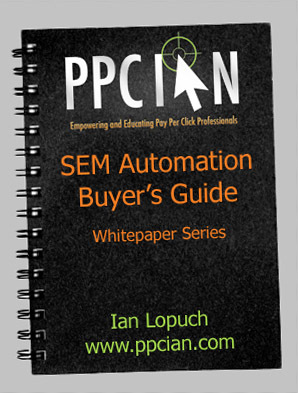 One of my favorite quotes: "With the knowledge and techniques shared in this eBook, there is no reason Facebook should be getting less spend than AdWords, Bing or your other channels, unless you have an attribution model to prove it!" I could not agree more. Whether you’re behind on your Facebook Advertising program or are a Facebook pro, I’m sure you’ll learn quite a bit from Acquisio’s eBook. Acquisio is a performance media solution that enables digital marketers to optimize their search campaigns and report on social, mobile and display initiatives. With a focus on cutting-edge machine learning algorithms and also leveling the playing field for all advertisers (small, medium, and large alike), Acquisio is truly a robust platform. More than anything, they are a team of incredible professionals. In fact, their CEO (and personal friend), is quite involved in Charity and Giving, something that resonates with me personally. Way to go, Acquisio and Marc Poirier! Vector Media Group is an award-winning digital agency located in NYC. Their full-service agency specializes in web development, design & branding, and digital marketing. While I just learned about Vector via this eBook, I’m quite impressed with everything they are doing and the content they are sharing with marketers like you and me. Thanks, Vector! 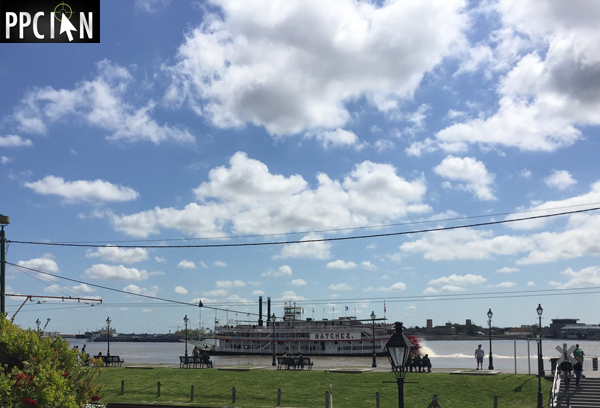 Last week, I had the pleasure of presenting at the Self Storage Association (SSA) Spring, 2017 conference in beautiful New Orleans, Louisiana. Christine Munther from G5, my friend and business partner, and I co-presented on the topic of Expert Marketing With A Lean Team: Get Bigger Results With Fewer Resources. 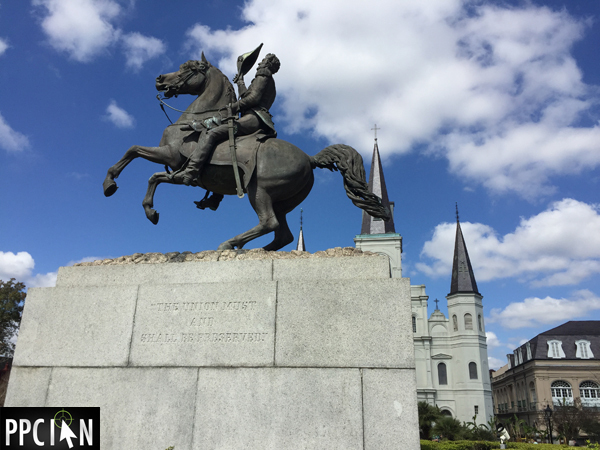 Today, I want to share my experience speaking at this conference and some of my big takeaways. I view life as a series of seasons. During the different seasons, there are different areas of focus. 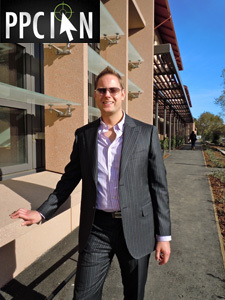 Almost two years ago, I shifted careers from an Internet technology company to a commercial real estate development company. As someone who was previously speaking on a routine basis, I went somewhat silent at my new role. It was not the season for me to speak. It was the season for me to have my head down, learn, innovate, and build something new. Even if you love public speaking, it’s ok to have times in your life where you just focus on the work. In fact, I did this intentionally and used the reward of public speaking as a motivator. I told myself: "Ian, it’s time to focus and build a truly unique and amazing marketing machine. Once that is done, you will have the most wonderful topic for public speaking at SSA." Last week, I had the opportunity to share my story from the last two years. It was time for my season to change and focus outward again. When I had this idea to present on marketing with a lean team, I immediately reached out to one of my most strategic business partners, G5. I knew that one plus one would equal three (or more) in this case. After all, G5 is the platform that powers our websites and so much more. Leveraging the G5 Marketing Cloud platform and partnership to achieve great scale, G5 and I shoulder my marketing program as a team. In order to submit our pitch to SSA, we needed to get a really early start. In fact, we submitted our pitch in October of 2016 (almost six months in advance of the conference). As a reminder to myself and everyone reading: If you have a great idea for a conference, make sure to start planning and submit your plan early! Even before we arrived at the conference, we created a fun trailer for our session on YouTube. We shared this trailer with the Self Storage Association and also on our personal social media profiles. As two marketing professionals speaking about marketing, we just had to market our own presentation, right? We had a lot of fun doing this, and wanted to share the strategy for any of you speaking at a conference in the future. 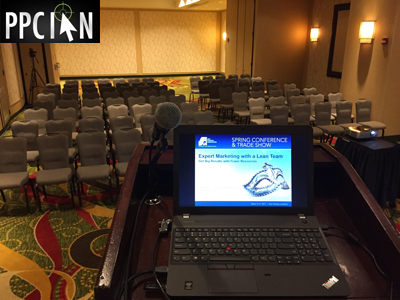 Get out there and help drive even more people to your presentation! Christine and I hit the ball out of the park. All of the seats were filled in our auditorium and many folks were standing. Moreover, I did not see anyone leave during our presentation. Those in the audience asked incredible questions and were truly engaged (self storage professionals, you all are the best!). Christine and I had so much fun because we were speaking about a topic of great personal interest and passion. Having the opportunity to co-present was so much fun. I always enjoy co-presenting vs. solo-presenting because of the teamwork, the conversational style of the presentation, and the fact the audience gets multiple perspectives. At the end of the day, the only purpose of these presentations is driving lasting value to the audience, and that’s exactly what we attempted to achieve. I really believe that this presentation was one of my personal best, and it all came down to preparation, focus, and "game day" strategy. In fact, on the plane flight home, I wrote a nearly 1,500-word blog post featuring my game day presentation strategy. 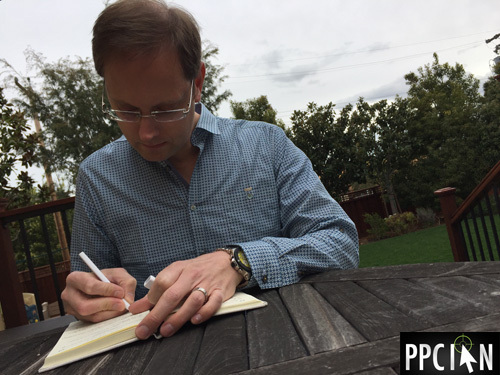 Stay tuned, it shall be the next blog post here on PPC Ian and features some really neat insights that took me years of speaking to fully master. 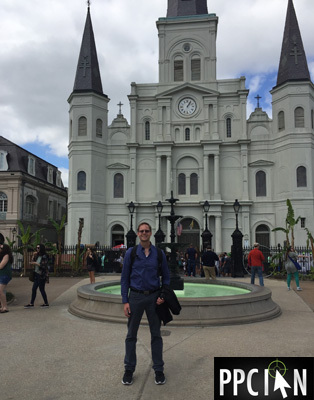 I love leveraging conferences and speaking opportunities to explore the world. 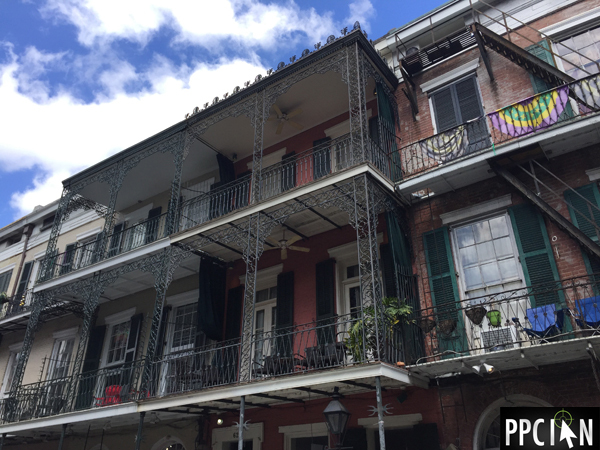 I was so happy that our presentation was accepted for the Fall 2017 Self Storage Conference because this conference was hosted in New Orleans, Louisiana. 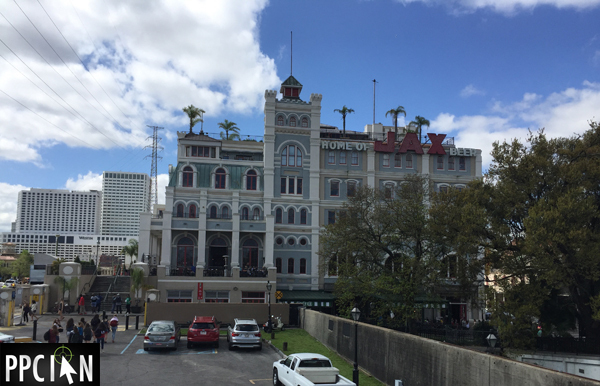 Having never visited New Orleans before, I was thrilled to learn that this event was right in the center of it all: The New Orleans Marriott just steps from Jackson Square and the French Quarter. Before our presentation, my complete focus was on getting my job done. I came to this conference to do a great job speaking and add value to the audience. Once I completed my job, I also enjoyed some personal time exploring the city. 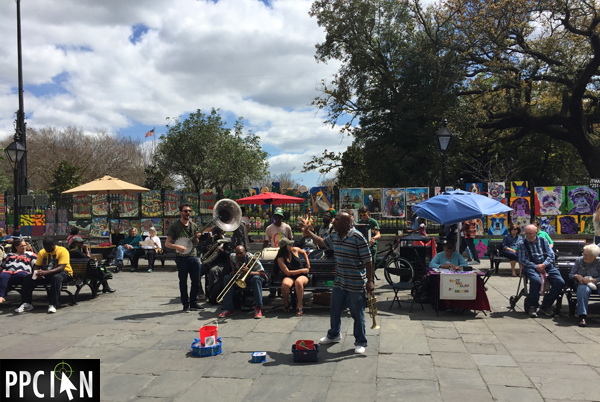 I have to say that sitting on the park bench at Jackson Square and listening to the beautiful Southern Jazz music was a personal highlight. With temperatures in the high 60s and low 70s, a nice breeze, and the best sights/music ever, I really had a time to remember. And, the incredibly delicious food did not hurt either. 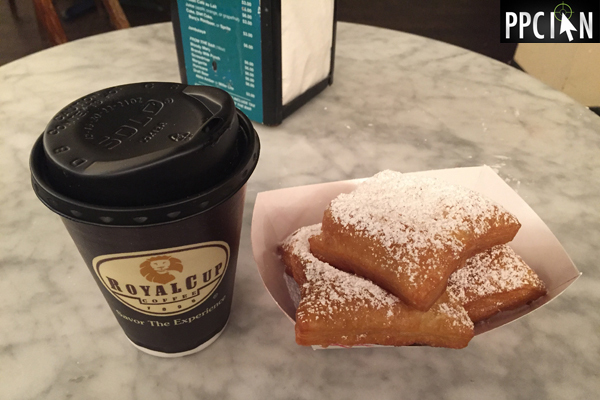 Even though I’m truly focused on health these days, I broke my rules to enjoy some authentic New Orleans beignets and they were so delicious. Running into familiar faces and power networking. Whether it was celebrating with G5 after our successful presentation, my dinner with Elizabeth from RealtyMogul, spending hours with my good friend Pedro from Self Storage Management Company, fun times with Jeffrey Shouse and the Colliers International Team, or running into a host of other friends, this is a conference where it was all about networking. I packed weeks/months worth of networking value into just a few days. Running into new faces. It has been said that your network is your net worth, and I really believe in that quote. More than that, I just like people and making new friends. I had the opportunity to meet some true leaders at this conference and went home with a stack of business cards. And, I plan on following up with all of them. New technologies. With my background in Silicon Valley technology, I always have an eye for bringing the latest and greatest innovations to our company. 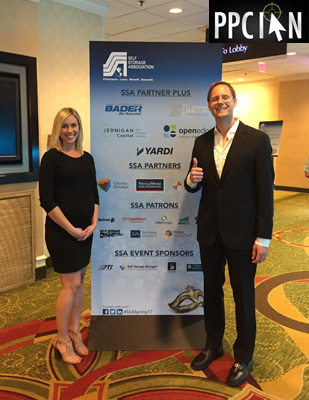 At this SSA conference, I was more impressed than ever before. With a host of new technologies to try, SSA made my 2017 technology roadmap even more robust. The right mix. I’ve been to conferences before where it seems like there is either too much or too little. I’m talking about the overall level of content and intensity. I would say that the professionals at SSA got the mix perfectly right: They have this down to a science. I’m grateful for so much in life, including beautiful music and the inspired musicians who change our world one song at a time. In the world of public speaking, it is all about the audience. The sole job of the speaker is to empower, motivate, educate, and leave lasting value for the audience. That’s a big responsibility! Of course, public speaking is also advantageous for the presenter because it’s a big deal and an honor. I wanted to share my extreme gratitude with Ginny and the entire Self Storage Association team. You had many pitches to choose from and you trusted Christine and myself. 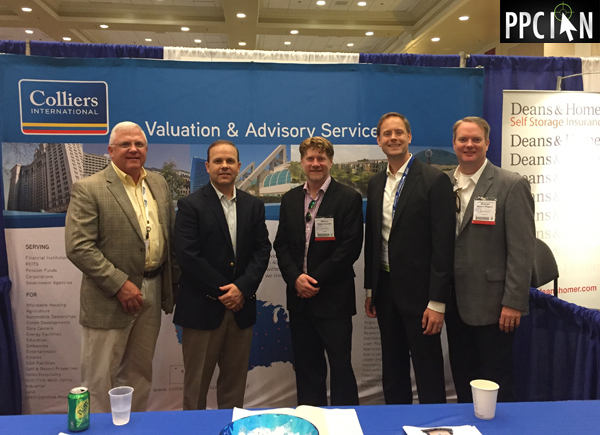 We sincerely hope that we exceeded your expectations and truly thank you for the honor of presenting at this world-class conference. We also look forward to future opportunities as well. We want to thank each and every person in the audience. We hope we made great use of your hour and left actionable insights for immediate implementation in your marketing programs. 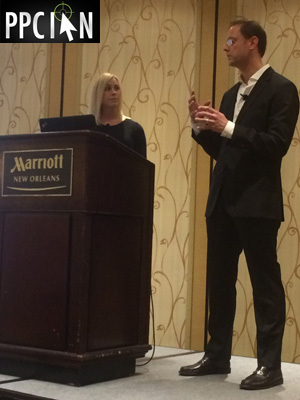 Please do not hesitate to reach out if you were at the conference and have any questions for Christine or myself. 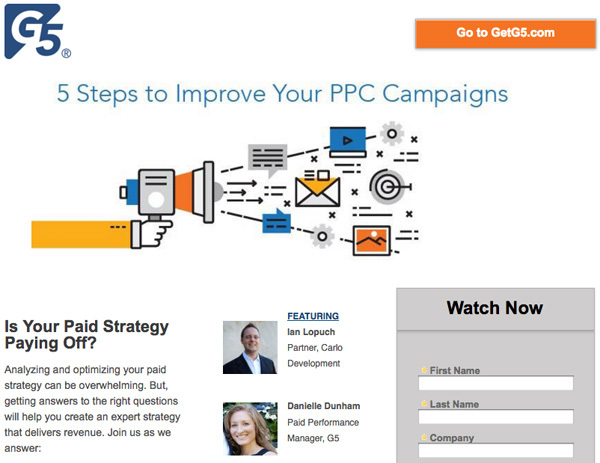 If you checked out My Free PPC Webinar Co-Presented With G5, you know that my business partnership with G5 is top notch. 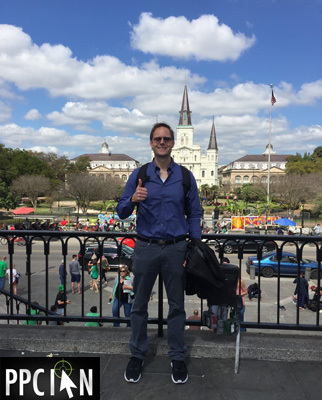 As many of you know, I pursued my lifelong dream of being a full time investor about a year and half ago, entering the commercial real estate space. 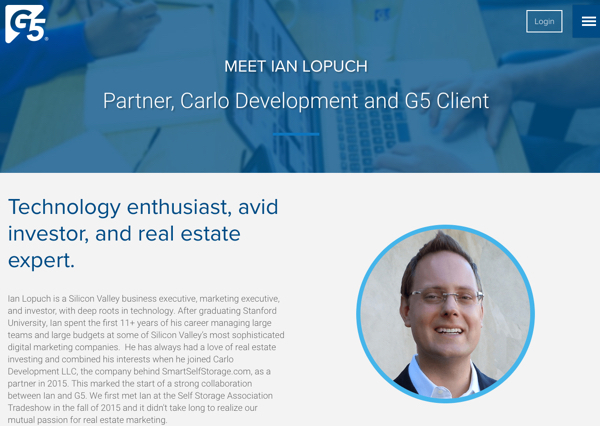 One of my favorite partners is G5, the platform that powers some of the best commercial real estate marketing strategies across self storage, multi-family, and senior living. Today, I have more G5-related news! I had the honor of Being Interviewed By G5. What will you find in my G5 Interview? 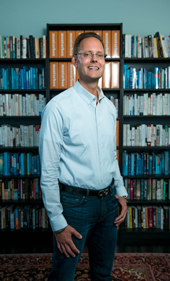 Ian’s passion for digital marketing: How it all started. PPC: My career started here. 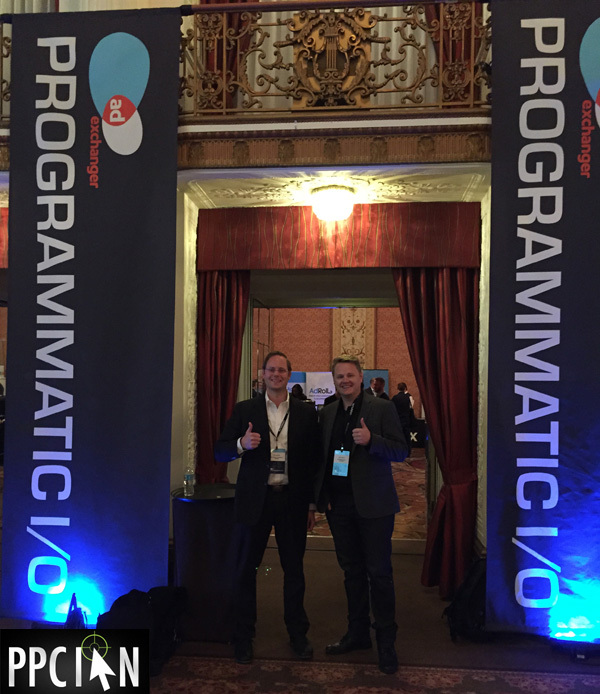 What’s my outlook for the future of PPC? Mobile: How it’s affecting our business and how we’re embracing the change. 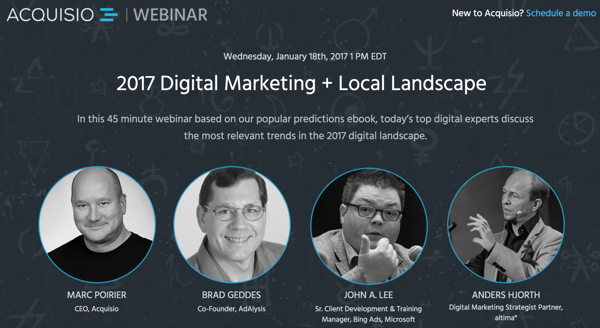 The Future: What will happen in digital marketing over the next 5 years. Our Business: Learn about our company and our website strategy. Online Self Storage Pricing: It’s all about the back end data layer, and G5’s integration with SiteLink. Partnership: How I work with G5 every single day. I hope you enjoy the interview, and I want to take this opportunity to sincerely thank G5 for the honor. You guys are the best business partners around, and I am so thankful every single day for the G5 team.